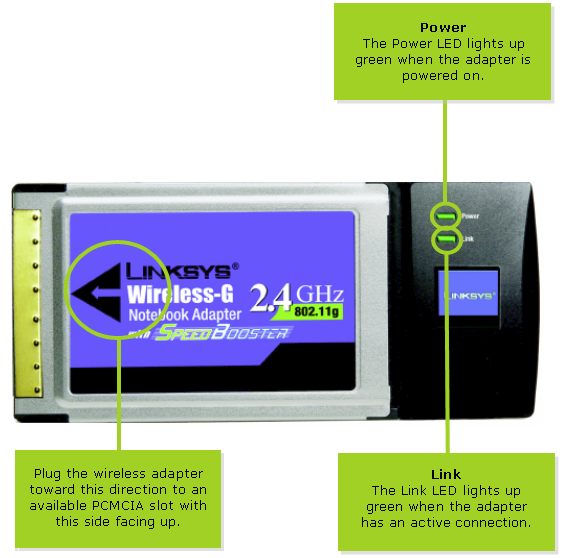 The Network Adapter's LEDs display information about network activity. There are two LEDs on the WPC54GS. These are the Power and Link LEDs. Follow the arrow indicator on top of the device to plug the adapter.